Oh, how I missed these books. R.L. 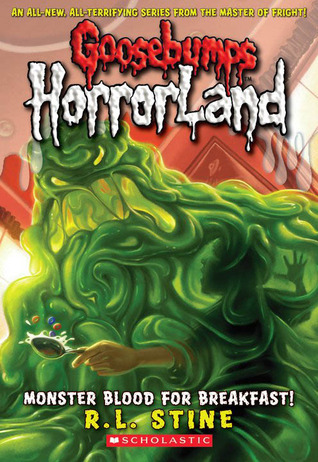 Stine is the writer that cultivated my love for horror, and his books are still as enjoyable now that I’m older. Yes, they’re written for a young audience, and yes, they’re full of classic horror scenes like hands grasping you from a tombstone. Yet Mr Stine always manages to give the story a twist to make it interesting. Revenge of the Living Dummy ends on a cliffhanger, and I’m looking forward to read more! Creep from the Deep features a brother and sister, a crazy pirate ship and the Dead Zone, the realm of the dead. 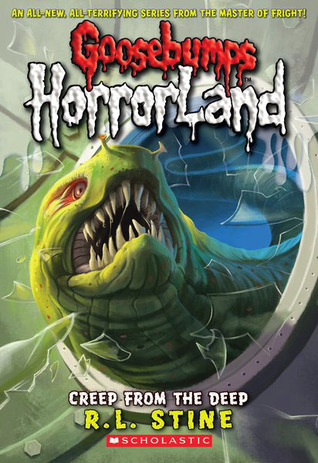 I’m really enjoying how the Horrorland novels are tying up together, and the main character of the next book, Monster Blood for Breakfast is already introduced in the last part of Creep from the Deep. 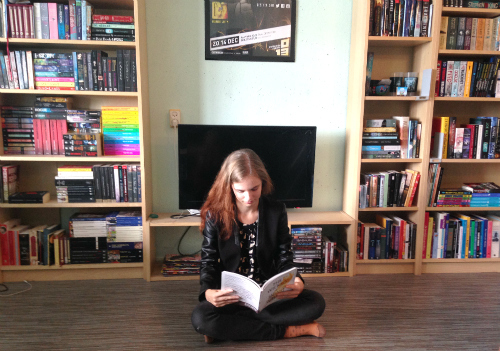 These books are so much fun! Plus, Slappy scares me. Title: Monster Blood for Breakfast! 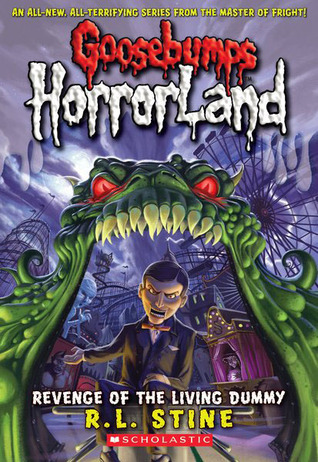 Another enjoyable instalment in the Horrorland series. In Monster Blood for Breakfast we meet Matt, who was introduced to us in the second book, and his terribly annoying neighbour Bradley. I especially enjoy how well Mr Stine portrays children. They can be petty, annoying, clueless and weird, but they all seem like real children. Everyone has known a Bradley in their life, or had an infuriating younger or older sibling. I hope that the next book also gives some answers, instead of just making tons of people disappear. Liked The Scream of the Haunted Mask a bit less because it seems to focus a lot on horses. I’m not much of a horses girl sadly, and the mystery wasn’t good enough to keep me interested. 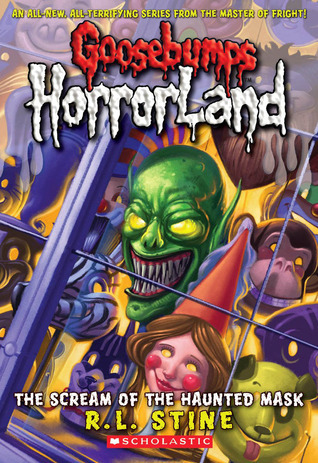 The Horrorland part on the other hand was nice. It’s good to see some of the missing people actually come back, cause it felt like we’d soon be out of main characters!